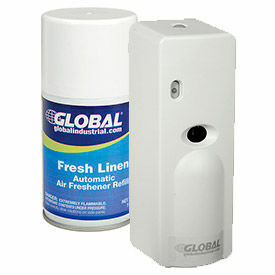 Global Industrial Automatic Air Freshener Dispenser And Refills Provide Effective And Consistent Room Deodorizing With Minimal Maintenance. Ideal for use in restrooms, schools, hospitality, food service, healthcare, and more. Automatic Air Freshener Dispenser is pre-programmed to dispense a spray of fragrance every 15 minutes. A built-in indicator light alerts the facility manager when the aerosol fragrance canister needs replacing. Covers up to 6,000 cubic feet to keep rooms smelling clean and fresh. Automatic Air Freshener Refills are available in Fresh Linen, Mountain Air, and Lemon fragrances. Air Fresheners do not require dispensers and provide flexibility for odor control in other spaces. Available in Fresh Linen, Mountain Air, and Citrus. 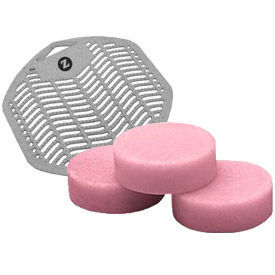 Global Industrial Bathroom Odor Control Products Help Deodorize And Keep Restrooms Clean. 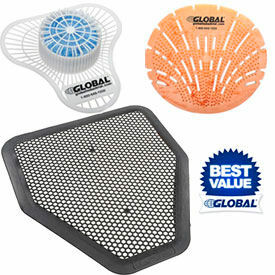 Non-Para Extra Strength Urinal Screens protect urinals from debris, while the non-para block cleans and deodorizes. Non-para blocks are water soluble and 100% biodegradable. 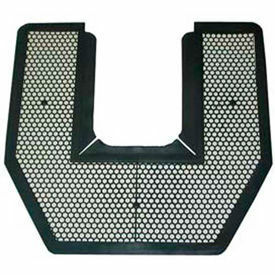 Urinal Screens are made with a copolymer that contains organic deodorizing compounds that are stronger than traditional vinyl urinal screens, and features an anti-splash texture to help prevent splash back and cross contamination. Non-Para Toilet Bowl Rim Hangers are specially designed to prevent staining of toilet bowls, while cleaning and deodorizing with every flush. Deodorizing Urinal and Toilet Mats neutralize odors by catching and quickly absorbing unwanted splashes and drips, protecting floors from stains, discoloration and uric acid damage. Odor Control Dispensers Offer Efficient Bathroom Maintenance In Commercial Or Industrial Restrooms, Hospitals, Nursing Homes And Other Public Settings. Odor Control Dispensers keep restrooms smelling clean and fresh for a more pleasant user experience with easy servicing, refilling, and upkeep. Aerosol, Dispenser, Gel, Liquid, Oil, Pad, and Counteractant types allow consistent odor control for a wide variety of commercial, industrial or institutional needs. Dimensions and volumes vary per model. 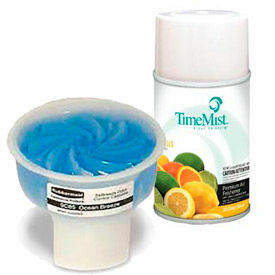 Odor Control Dispenser Refills Keep Restrooms, Hospitals, Nursing Homes And Other Settings Smelling Fresh And Pleasant. Odor Control Dispenser Refills are made for maximum odor absorbency and delivery of long lasting scents. Deodorizers cut down on bathroom maintenance for user convenience. Available types are Aerosol, Gel, Liquid, Oil, and Pad. Scents include Apple, Buttercream, Cherry, Cinnamon, Citrus, Cotton, Fresh Linen, Lemon, Mountain Air, and Vanilla. Package quantities vary by model. Toilet And Urinal Odor Controls Are Used For A Wide Variety Of Commercial, Industrial Or Institutional Restroom Odor Elimination And Sanitation Applications. Toilet And Urinal Odor Controls are made for long lasting effectiveness. Reliable brands offer a wide variety of types and long lasting scents to meet particular needs and applications. Mount types, scents, styles, and package quantities vary by model. Toilet And Urinal Mats Are Ideal For Use In Commercial, Industrial and Institutional Restrooms. Toilet And Urinal Mats are made for long lasting effectiveness. Reliable brands offer a variety of styles and long lasting scents. Odor Control Products Are Used For A Wide Variety Of Commercial, Industrial Or Institutional Maintenance And Sanitation Applications. 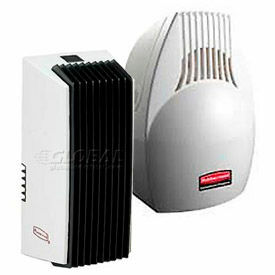 Odor Control Products are made for long lasting effectiveness and dependability. 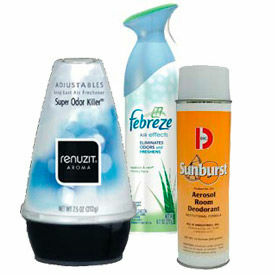 Various brands offer a wide variety of Aerosol, Concentrate, Gel, Granular, Liquid, Powder, Oil, Hang Tag or Pad type products in various formulas and scents to meet particular commercial, industrial or institutional cleaning or maintenance need or application, including air, fabric or carpet fresheners, pet, smoke or body odor controls, general disinfectants and more. Available in various quantities, sizes and package quantities.